Zack Snyder is still in a sharing mood thanks to his stymied plans for Justice League. The Batman v. Superman director and former guiding hand of the DC Cinematic Universe can’t seem to let it go. So, as long as his “Cut” of the film keeps being a big deal, he will share scenes that never made it. His latest posts to social media site Vero include looks at the arcs of Amy Adams’s Lois Lane and DC’s current occupant of the spotlight in its Extended Universe, Jason Momoa’s Aquaman. The screenshots come from Reddit. 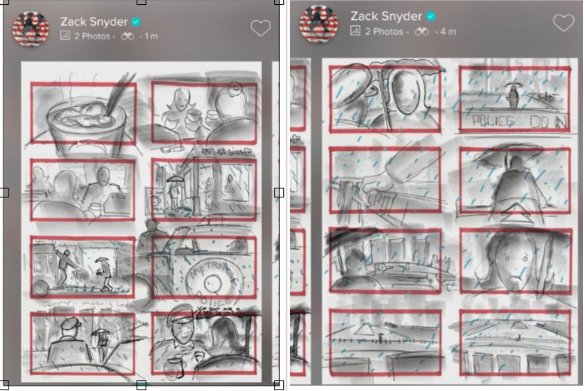 In the case of Lois, Snyder posted pictures of two storyboards detailing an unused scene exploring her process of grief. Lane walks in the rain and gets coffee on the way to Superman’s memorial. During her trip, she runs into a police officer who appears to know her from her routine. When asked by a fan if he really films these previously unseen storyboards, Snyder answered, “I shoot what I draw,” indicating there is footage out there. Now, that doesn’t mean he filmed this particular scene or that everything he ever drew was filmed. 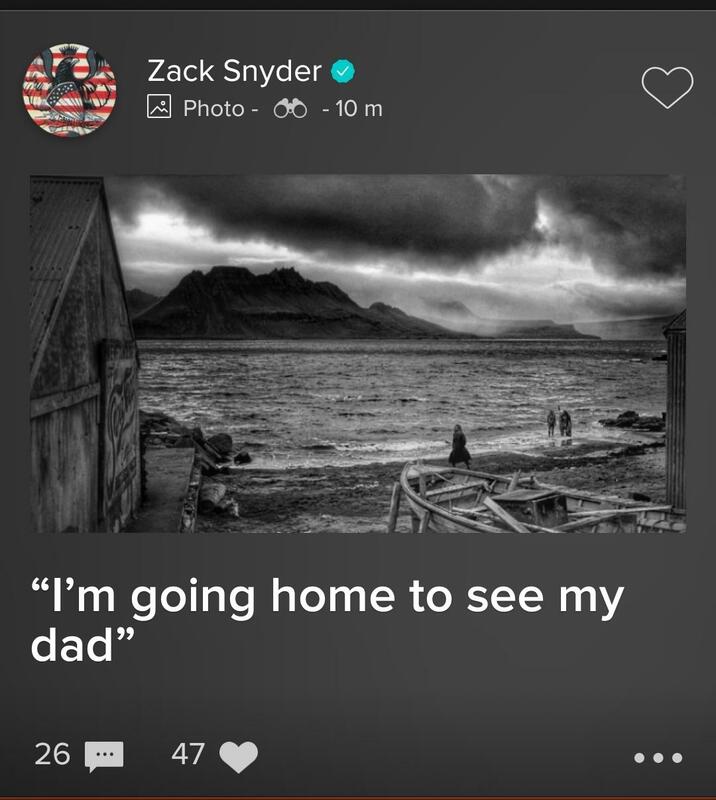 Momoa confirmed to Comicbook.com Snyder “is constantly doodling.” But this is substantive testimony from the source of a missing piece for the alleged Snyder Cut some people want. Speaking of Momoa, Zack’s cut definitely would’ve given us more Aquaman. For the League’s resident Atlantean, Snyder had big plans–plans the studio luckily wanted to build on. Only, the two sides couldn’t agree on the handling. Obviously, Warner Bros. wanted to be patient and save everything for the main event that is the Aquaman movie. A “force coming” is most likely yet another allusion to Darkseid, Kirby’s iconic supervillain Snyder was building to as the Justice League’s ultimate foe. What he would’ve accomplished with Darkseid, we’ll never know. Though, believers in the Snyder Cut can take solace in a little more validation.